Nenad Medic won the first bracelet at the 2008 World Series of Poker, taking down Event #1 ($10,000 Pot Limit Hold’em). 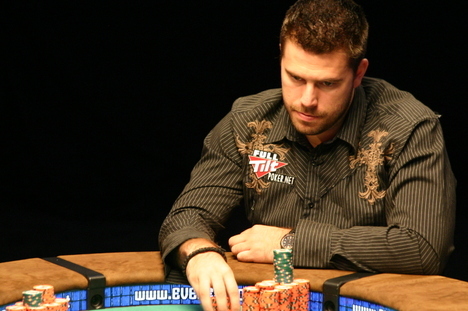 This makes Medic’s second major tourney title, having won the WPT’s 2006 World Poker Finals. Medic, who is nicknamed "The Serb" because he’s ancestorially from Serbia, actually hails from Canada now. Typically this is where we’d make the obligatory ice fishing joke or something of that nature, eh?, but Medic is 6’5 and looks like he could give Bob Probert a run for his money, so we’ll refrain for now. But if you need some Canadian humor fix, watch the "I’m Not Your Friend" remix again here. For the win, Medic banks $794,112, pushing his career tourney earnings to over $3.6 mil. Andy Bloch finished in the runner-up spot of yet another big tourney. He’ll net $488,048. Kathy Liebert, a woman, finished third for $306,064. 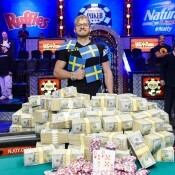 Get full recaps and payouts from WorldSeriesofPoker.com here. 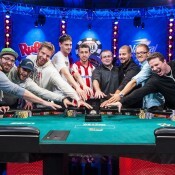 Get Dr. Pauly’s take on WSOP happenings here. 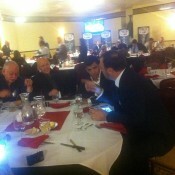 And get Poker Prof’s recap and more photos here. Congratulations on having 5 straight “poker” stories without the usual no-talent skanks.